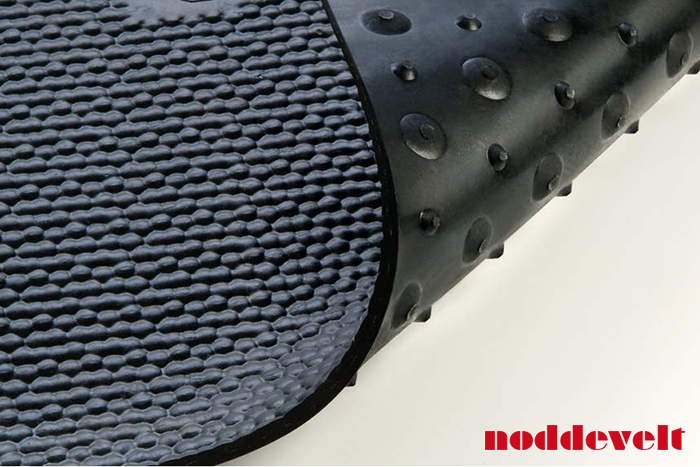 This 15mm thick horse mattress consists of 5mm unevenly studs and a 100% rubber hammer blow non-slip top layer of 10mm with textile insert. This combination ensures solid comfort and the highest quality. Width: 100cm to 300cm (every 10cm). Thickness: 15mm (10mm top layer + 5mm stud profile at bottom). Installation: Kit and/or stainless steel nails or screws. The horse mattress provides for a perfect bedding, with the help of the characteristic studded profile on the bottom. The uneven studs have a great advantage. The big studs take care of the load-bearing capacity while the smaller studs keep the resilience as high as possible. 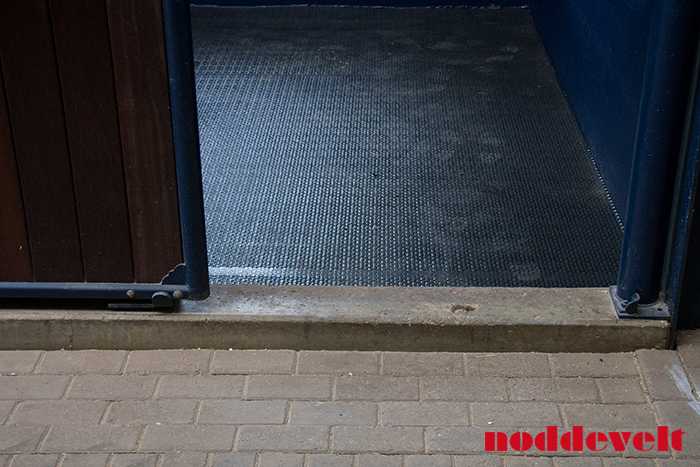 By installing Noddevelt its horse mattresses in your stables, your horses will have a comfortable place to lie down in a pleasant and soft surface. This helps the horses rest better, which will benefit their performance. In addition to comfort the horse mattress ensures two more advantages. The hammer blow top layer and the suspension of the rubber mat provide for extra grip in the stable. Secondly, the horse mattresses can be installed seamlessly up to 3m wide in any length. This makes your floor easy to clean. In short; high level of comfort, non-slip, good hygiene, durable and good performance of the horse. Are you interested, do not hesitate to ask Noddevelt about all possibilities! Take a look at the Air Comfort non-slip mat for wash bays, horse trailers and trucks.